Small talk in the lift ? Small talk in the lift ? Let’s prep you with the good infos about the weather. What do you talk about with your colleagues when enter the lift the morning when you arrive at the office ? You talk about the weather of course ! 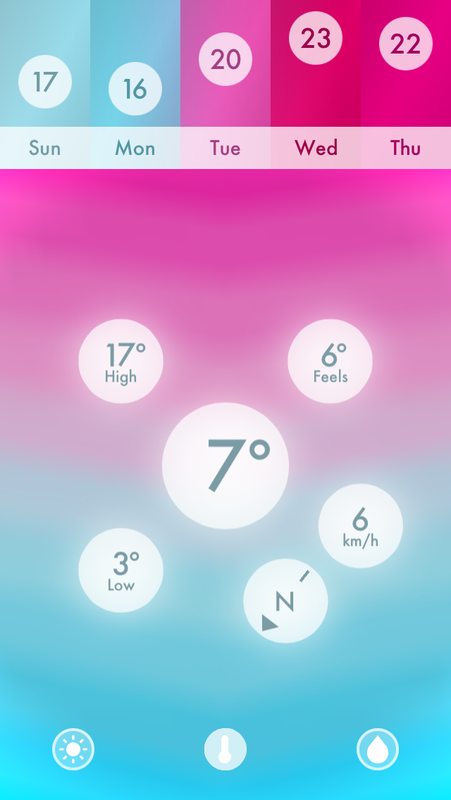 But you don’t have all the informations, so let’s browse the apps that are out there giving you the best weather forecast. 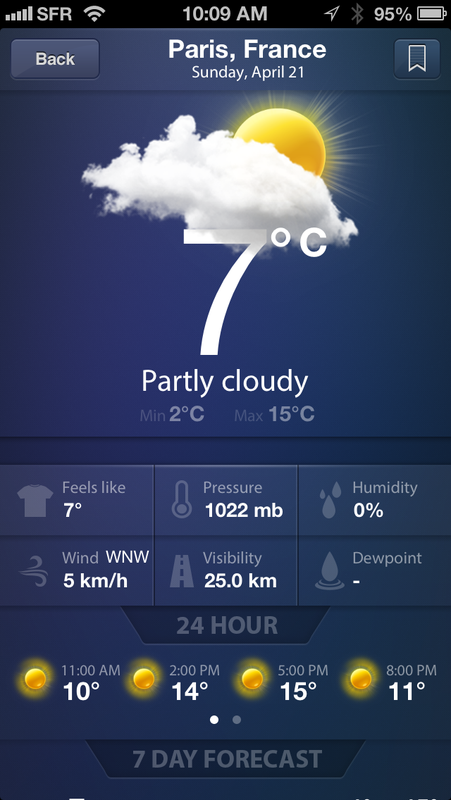 Advantages: free, built-in, hour by hour and weekly forecasts, low/high temperatures, you can add as many favourite countries as you like, part of the notification center. Disadvantages: not as completed as could be (no UV, precipitation chances, …). 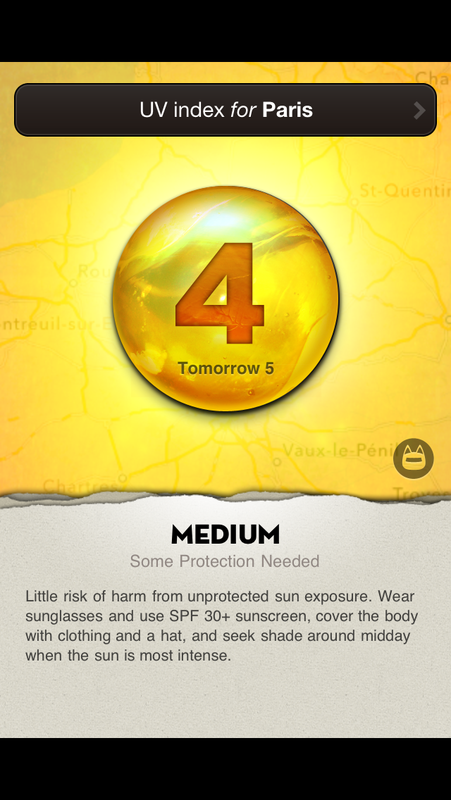 Advantages: free and paid-app, all is in, UV index, dew point, sunrise and sunset, humidity, visibility and pressure. Disadvantages: adds in the free apps, paid-app for 3,99$. 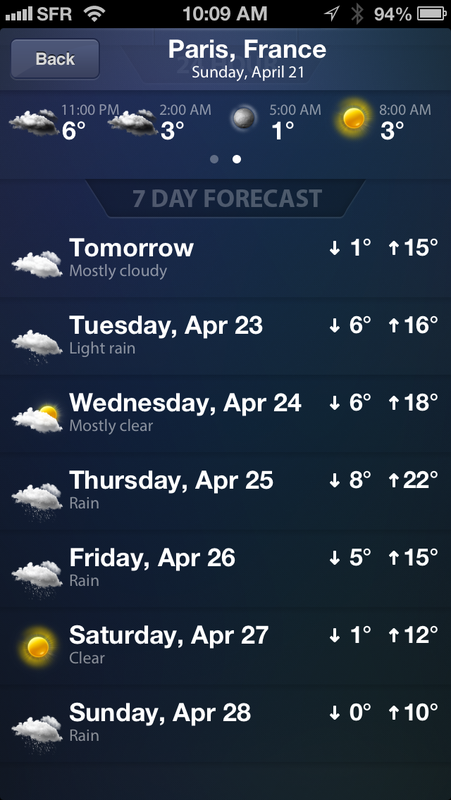 Graphical and beautiful app, pull down to see the next 3 days low/hights forecasted temperatures. 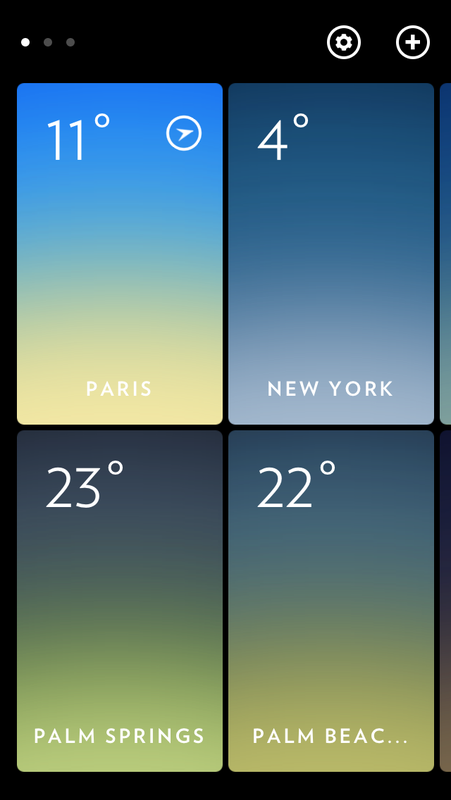 Double-tap the main screen for a split screen with the temp of your favorite cities. Advantages: free and beautiful, as many bookmarked places as you wish but then you have to slide to switch from one page to another. 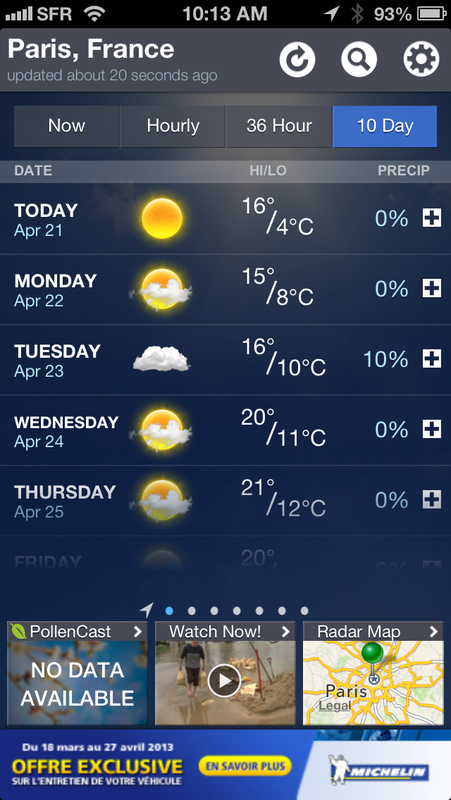 Disadvantages: only the temp and forecast for next 3 days. 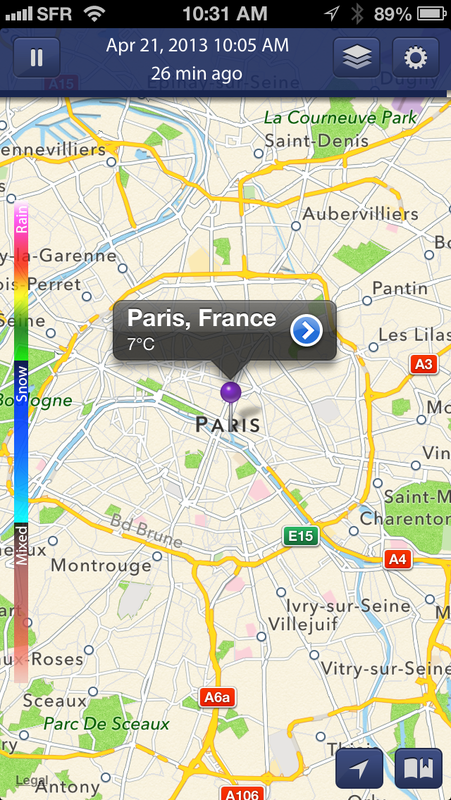 This is a great and beautiful app, full of infos. 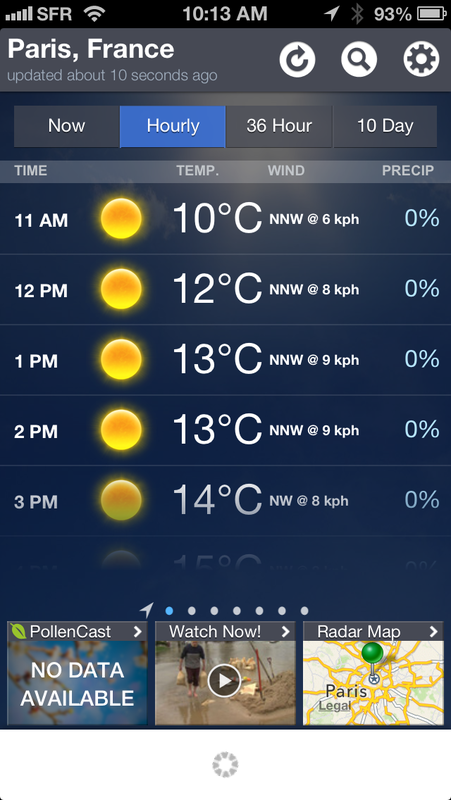 3 main screens present the 3 key infos (hours of sun, temperature and chance of rain).
. 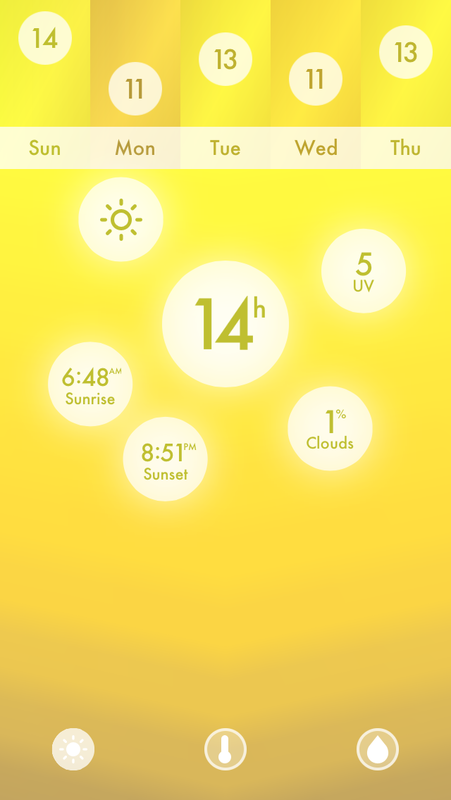 Hours of sun: sunrise/sunset, % clouds, UV.
. 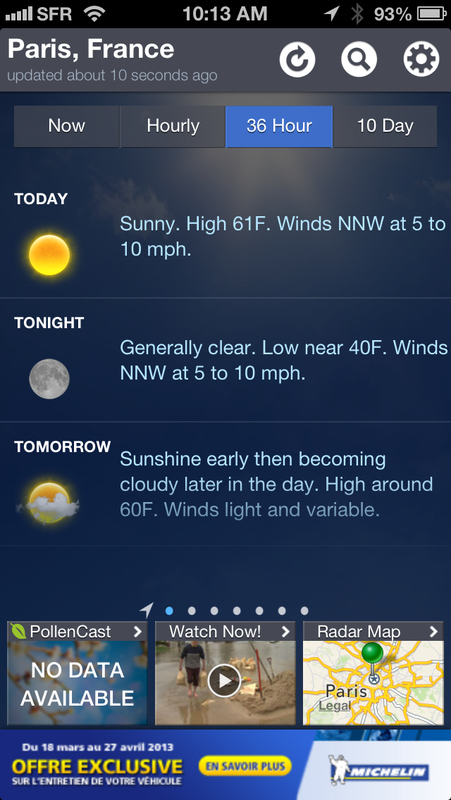 Temperature: high/low, wind speed, feels like temperature.
. Chance of rains: humidity, inch of water expected, pressure, humidity. 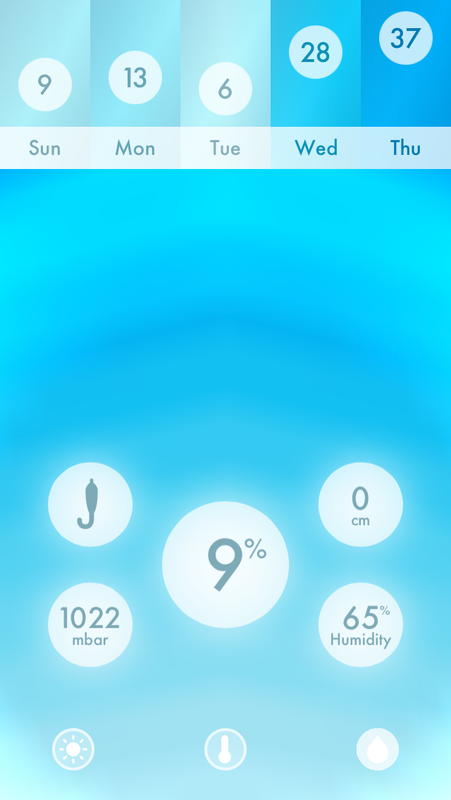 Advantages: beautiful interface, one tap on the central number and it reveals additional informations. The reference when it comes to weather and forecast. It is a great and beautiful app full of infos. Advantages: all you dream about weather is here (feels like temperature, pressure, humidity, wind, visibility, dew point, 7 days forecast, hour by hour forecast). Bookmarks for your favorite cities. An ultraviolet index viewer. 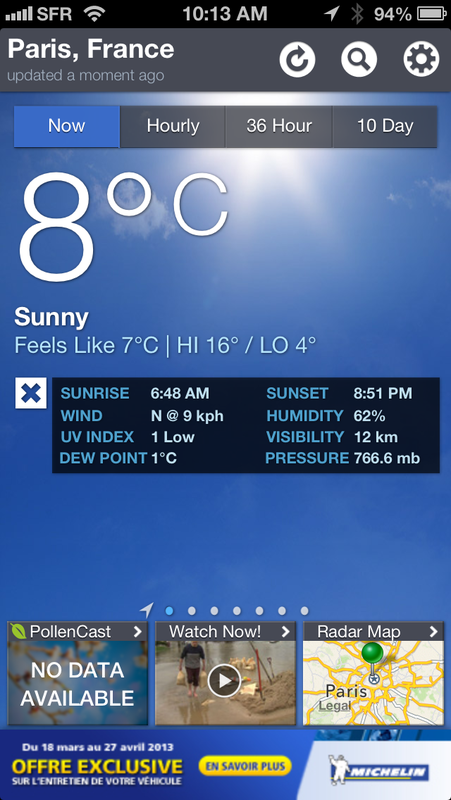 Geolocalisation an possibility to check the UV index wherever in the world. Love your Blogs! I need a Navigation system that is audio and NOT AT&T or Google maps? Suggestions? I don’t mind paying if its a good one! Go for Scout! It’s a great app. Check it out and tell me what you think. OH ! Okay thanks I surely will. Google keeps cutting out and AT &T just updated their version and it keeps showing me a red slash that I am speeding? Moi?? Have totally forgotten to say thank you … for the link for the keyboard cover. 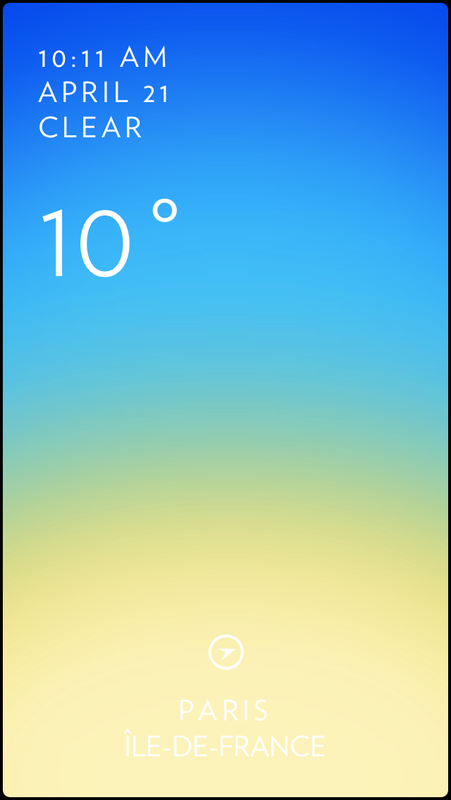 Hm – you know, people have been talking about their actual weather for decades. I don’t think they need the help of an app for that. your most welcome dear…nice blog you have..keep blogging !